It's the most wonderful time of the year, and we want to celebrate by spreading some Pigeon Forge holiday cheer. Starting Saturday, December 1 we will be hosting twelve days of consecutive giveaways featuring all kinds of prizes from some of the best attractions & lodging in the Great Smoky Mountains. You will have a chance to enter to win each giveaway listed below for 24 hours on the prizes' corresponding dates. We will pick and announce winners on Mondays through Fridays. If you win over the weekend, we will contact you on Monday. And stay tuned after December 12 for our Grand Prize Giveaway! We will be running a giveaway with a bundle of prizes from December 17-21, so be sure to follow us on Facebook and Instagram for all the updates. Good luck! Day 12: Enter to win 4 movie tickets to Governor's Crossing Stadium 14 Cinema, plus 2 medium popcorns and 2 medium soft drinks. Governor's Crossing features fully reclining chairs, extra wide screens and two SXS extreme auditoriums, for the best movie watching experience. Day 11: Enter to win 2 tickets to The Coaster At Goats On The Roof. Take a heart-pounding, break-gripping, breath-taking run on the Coaster, feed the famous goats, shop in the general store and more. You are sure to have fun on the area's fastest, most extreme alpine coaster. Day 10: Enter to win 2 tickets to Ripley's Aquarium Of The Smokies. See some incredible creatures of the sea, from penguins to sharks, in an amazing and educational aquatic world. Explore the Tropical Rainforest, Ocean Realm, Stingray Bay and more while you're there for a full day of fun. Day 9: Enter to win 2 tickets to The Wonders Of Magic at Wonderworks. Be mesmerized by Terry Evanswood, one of the world's greatest magicians. You'll experience sleight-of-hand tricks and grand-scale illusions, and leave asking "how did he do that?" 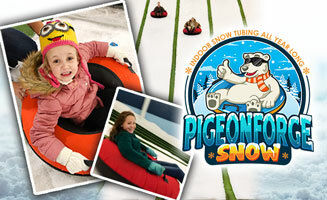 Day 8: Enter to win 2 tickets to Pigeon Forge Snow. Grab a tube and slide down one of 12 lanes of snow covered slopes. Build a snowman in the snowplay area and enjoy snacks and beverages. There is snow all year long at Pigeon Forge Snow. Day 7: Enter to win 2 tickets to WonderWorks, the upside down mansion in Pigeon Forge. Enjoy hands-on interactive fun at over 100 exhibits. There are 6 wonder zones to explore, so pass through the inversion tunnel, realign yourself and get started. Day 6: Enter to win 2 tickets to Dolly Parton's Celebration Dinner Show. A Christmas takeover has happened, so watch the all-new special effects transform the town scenery into a captivating winter wonderland while you enjoy a hearty southern meal. 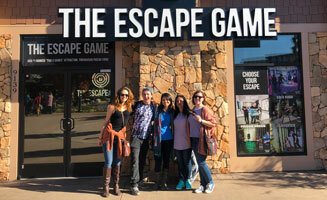 Day 5: Enter to win 2 tickets to The Escape Game. Pigeon Forge's #1 escape room is an immersive adventure, with twists, turns and jaw dropping surprises around every corner. Spend 60 minutes working to find clues, overcome challenges and complete a mission. Will you escape? 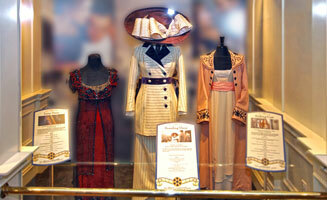 Day 4: Enter to win tickets for 2 adults & 4 children to the Titanic Museum Attraction. Recieve a boarding pass when you enter the ship and explore galleries with over 400 personal and private artifacts from Titanic are on display. Touch a real iceberg, walk the Grand Staircase and learn what it was like on the Titanic firsthand. 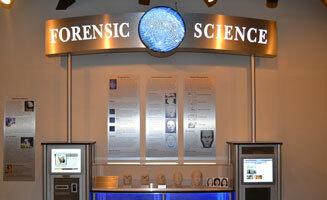 Day 3: Enter to win 2 tickets to Alcatraz East Crime Museum. Witness American History from a new perspective. Explore unique galleries that burrow into the study of criminal intent, criminal profiles, the penal system, victims, crime prevention, forensic science, law enforcement and the Judiciary Branch of government. Day 2: Enter to win a $50 gift certificate to Big Daddy's Pizzeria. Enjoy wood fired pizza, made from hand-crafted dough and homemade sauces. 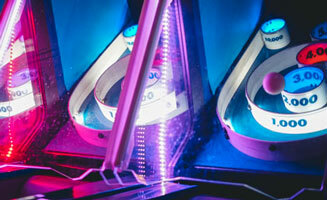 Enjoy your gourmet ingredients while kids flock to the arcade. Everyone will have a great time at Big Daddy's Pizzeria. Day 1: Enter to win a 2 night stay with American Patriot Getaways. Whether you are celebrating an anniversary, taking a girls weekend or just getting away for a moment, you'll enjoy incredible amenities such as mountain views, hot tubs, fireplaces and more.